More magic for Boston: Best year ever for one city? 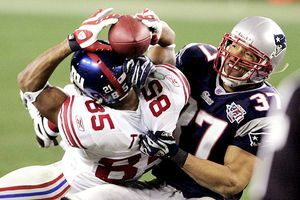 Thank god for David Tyree or we would be listening to Boston fans bragging that this has been the greatest sports year a city has ever enjoyed. And the worst part is they would be right. David Tyree's catch may have been the greatest in Super Bowl history -- and helped prevent Boston from holding the World Series, Super Bowl and NBA titles at the same time. But thanks to Tyree, New England lost the Super Bowl, leaving Boston with only the World Series and NBA championship to celebrate during the past year (imagine how those fans must be suffering, compared to say, fans in Seattle). How does winning two titles and just missing a third rank? We reassessed a 2003 Page 2 list and took a biased, unscientific and capricious look at cities that have enjoyed magical years during the past four decades to make the call (for sake of comparison, we're only looking at the Super Bowl era). Tiger Slams count. Does the sports year run from Jan. 1 and the Rose Bowl to Dec. 31 and the Sun Bowl? Or does is run from when pitchers and catchers report for spring training to when the Super Bowl MVP rides Space Mountain at Disneyland the following February? We don't know. But for our list, any 365-day span -- be it one single year or spread over two years - counts. With this important caveat: No combined partial seasons allowed. In other words, Boston's 2007 World Series and 2008 NBA championships can count as part of the same sports year but not the last months of the 2007 Red Sox season and the first part of their 2008 season. Local teams need not be present to win. While most cities cracked this list solely based on what their local teams accomplished, hosting neutral games -- Super Bowl, Final Four, Olympics, All-Star Games, etc. -- plays a factor as well. The rankings are about what it's like to be a fan in a city in a given year, and hosting a major championship gains you extra points even if your favorite team was eliminated months earlier. You will have a hard time convincing Minnesotans that there was a better place to be than in the Twin Cities during 1991-92, when they played host to the Stanley Cup finals, the U.S. Open, the World Series, the Super Bowl and the Final Four. Numbers count. Yes, cities that have all four major sports have an advantage over cities that have only three. That's just the way it is. Split personalities. While cities with more than one team in a sport can gain extra points from the additional team, cities with only one team to rally around, get a bonus on the back end. For instance, UCLA going undefeated and winning the Final Four in 1972 didn't do much for USC fans, nor did the Trojans going undefeated and winning the Rose Bowl that fall do much for Bruins fans. But everyone in Baltimore was pretty excited when the Colts won the Super Bowl. Local teams in postseason. Based on how many local teams played postseason and also weighs how far those teams went. 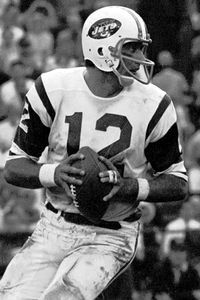 Joe Namath guaranteed victory in Super Bowl III and the Jets delivered -- the first of two miracles in New York in 1969. Heartbreaking postseason losses. Deducts points for particularly painful losses that generally left fans feeling worse than if their team hadn't played for the championship in the first place. Local teams reaching finals. Stanley Cup finals are not weighed quite as heavily as other major championships. Sorry, Detroit, but that's just the way it is. Local teams winning finals. Ibid. Major events. Based on the fan experience of having the event in town. This is generally positive, but not always (the NBA All-Star Game in Las Vegas comes to mind). Intangibles. Anything positive or negative that isn't already accounted for. OK, enough with the preliminaries. Here are the rankings. Anaheim, 2002-03: The Angels won the World Series thanks to the Rally Monkey, while the Mighty Ducks reached the Stanley Cup finals. If only Arte Moreno had been in charge so that the NBA championship by the Los Angeles Lakers of Anaheim would count and put the city in the top 10. Atlanta, 1995-96: How did fans afford tickets? Atlanta won its only World Series in 1995, clinching the championship with a one-hit, 1-0 Game 6 victory. The Falcons reached the playoffs the same season (but lost in the first round). The Hawks reached the Eastern Conference semifinals. And then came the Olympics. Had those Olympics not been so commercially crass, this year would have been solidly in the top 10. Oakland, 1974-75: The Athletics won their third consecutive World Series. The Raiders fell 15 minutes short of the Super Bowl when they blew a seven-point lead during the fourth quarter in the AFC championship game. And the Warriors won the NBA championship, sweeping the Bullets in an upset so shocking they had to play in San Francisco because their home arena had been rented out for other events. This year would crack the top 10 if the city had cared a little more. Despite winning three consecutive World Series (and the fourth of five consecutive AL West titles), the Athletics drew just 845,693 fans that season, 11th in the AL. That's right. Just 845,693 fans. Gainesville, 2006-07: No matter which way you want to count it -- the basketball/football double-shot in 2006 or the football/basketball parlay in the 2006-07 school year, Gatorade never tasted more refreshing than when Florida won college's two major championships (Ohio State fans, however, may disagree). And if you want to get technical, the Gators won three titles in 365 days: their first hoops title on April 3, 2006; the BCS title on Jan. 8, 2007; and the hoops championship again on April 2, 2007. The Mets went 108-54 and won a classic World Series in seven games while the Giants went 14-2 and won the Super Bowl. The Rangers and Islanders made the playoffs, but the Knicks were terrible, even though Isiah Thomas had nothing to do with the team yet. Larry Bird led the Celtics to the title in '86, but the Patriots and Red Sox fell short. The Celtics lost only one game at the Garden all season and beat the Rockets for the NBA title. The Patriots played in the Super Bowl. Well, sort of. They got crushed 46-10 by the Bears and the "Super Bowl Shuffle" (evidently, no one with the team observed Chicago's walkthrough). The Red Sox delivered one of the most stirring comebacks in American League history in Game 5 of the playoffs only to suffer one of the most heartbreaking losses in World Series history in Game 6. (What was John McNamara thinking when he didn't bench Bill Buckner for defensive sub Dave Stapleton?) And the Bruins reached the playoffs. Life in L.A. was especially good if you had season tickets to the Lakers and Bruins. The Lakers had a 33-game winning streak that season and won the NBA title for the first time since moving from Minnesota. UCLA went 30-0 and won the national title. So you could have gone from Nov. 1 to Jan. 20 without seeing your team lose. The Dodgers finished second in the NL West, but saw Steve Garvey, Davey Lopes, Bill Russell and Ron Cey appear on the roster together for the first time. The Rams were under .500, but USC took care of the football by going undefeated and winning the national championship (the Bruins, meanwhile, went 8-3). Can we say something that will be considered sacrilege? Joe Namath's guarantee that the Jets would win the Super Bowl despite being 18-point underdogs is usually treated as if it were Churchill's "We'll never surrender'' vow. But why is a player saying his team is going to win that big of a deal? Now, if he had said, "I don't know why anybody plans to watch the game, we're going to get our butts kicked," that would have been noteworthy. Anyway, the bigger news that year was the Mets. After averaging 105 losses a year and finishing 10th five times and ninth twice, the Mets thrilled baseball by winning 100 games, overcoming a nine-game deficit to the Cubs and then beating the Orioles in the World Series in what has often been referred to as the last verifiable miracle. Oh, and the Knicks reached the Eastern finals while the Rangers made the playoffs. 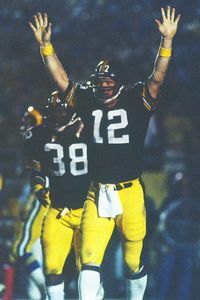 Terry Bradshaw led the Steelers to Super Bowl titles in 1979 and 1980. The Steelers won the Super Bowl, which seems pretty routine. And the Penguins reached the playoffs. Again, nothing all that unusual, though they did advance to the second round. And Dan Marino led the Pitt Panthers to the Fiesta Bowl. But if you want to know why this year cracks the list, it comes down to six words. The Pirates won the World Series. Read that last sentence again. The Pirates won the World Series. Seems pretty unbelievable these days, doesn't it? UCLA routed Illinois in the Rose Bowl to begin the year. Marcus Allen and the Raiders ran away with the Super Bowl. The Lakers reached the NBA Finals, but lost in seven games to the Celtics. But the biggest event of the year in Los Angeles was the Olympics, which opened with Rocket-Man and 84 grand pianos playing Gershwin's "Rhapsody in Blue" and ended amid almost constant chants of "U-S-A! U-S-A!" The Soviets don't know what they missed. The Orioles won the World Series behind one of the finest rotations in major league history, while the Colts beat the Cowboys in Super Bowl V on kicker Jim O'Brien's field goal with nine seconds left. The Bullets, meanwhile, reached the NBA Finals, but lost to Lew Alcindor, Oscar Robertson and the Bucks. Also, Cal Ripken Jr. hit .752 and played every inning of every game for his Little League team. 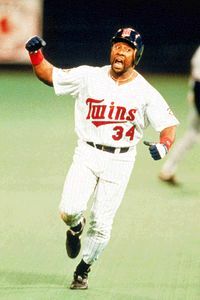 Twins fans will never forget Kirby Puckett's home run to win Game 6 of the 1991 World Series. It normally takes a bald, ego-maniac, blowhard ex-wrestler getting elected governor before people pay attention to Minnesota, but the Twin Cities were the focus of the nation during an epic 365-day stretch from the spring of 1991 to the spring of 1992. First, the North Stars finished the season 27-39-14, but went on an astounding playoff run to the Stanley Cup finals (losing to Pittsburgh in six games). One month later, Payne Stewart won the U.S. Open in an 18-hole playoff at Hazeltine National Golf Club. Four months after that, the Twins became the first team to finish in last place one season and win the World Series the next, capping off perhaps the greatest World Series ever played with a 10-inning, 1-0 Game 7 shutout by Jack Morris just miles from where he grew up. Almost as soon as stadium workers removed the World Series logo from the Metrodome carpet, they had to apply the logo for Super Bowl XXV (Washington over the Bills) and then lay down the hardwood for the Final Four (Duke over Michigan). If only the Timberwolves (29-53) hadn't stunk. The Lakers beat the Pistons in a classic seven-game series to win their second consecutive NBA championship. Needing to throw 9 2/3 scoreless innings in his last start of the regular season to tie Don Drysdale's consecutive scoreless innings record, Orel Hershiser pitched 10 scoreless innings to break the record, then led the Dodgers to a shocking upset over Oakland in the World Series (with a little help from pinch-hitter Roy Hobbs .. er, make that Kirk Gibson). And in college football, USC and UCLA each had Heisman Trophy candidates at quarterback (Rodney Peete and Troy Aikman), met while ranked No. 2 and No. 6, respectively, and both played in New Year's Day bowls (Cotton for UCLA, Rose for USC). The Rams had to settle for being a wild-card team, but the Kings had a big year -- they traded for Gretzky and reached the Smythe Division finals. 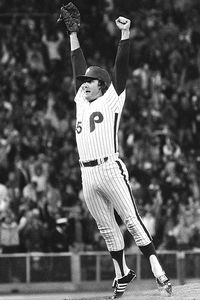 The entire city leapt for joy when Tug McGraw recorded the final out of the Phillies' only World Series title. On the whole, we'd rather be in Philadelphia from the spring of 1980 to the following April. Despite its reputation for losing teams, Philadelphia is the only city to have its teams reach the finals in all four major sports in a 12-month span. The Flyers and the Sixers reached the Stanley Cup and NBA finals (each lost in six games), the Phillies won their only World Series in franchise history, the Eagles went to Super Bowl (but lost to Oakland) and Philadelphia hosted the Final Four. (Plus, Villanova and St. Joseph's reached the NCAA tournament, with St. Joe's upsetting No. 1-ranked DePaul). Is reaching the finals in all four sports the greatest year a city's fans have ever experienced? Or does losing three of those championships make it the worst year ever? The answer probably depends on whether how much money you bet on the local team. Though we opt for the former because it's still one hell of an accomplishment. And then there were two -- the Lakers and Celtics. Who will win the NBA Finals? Let the games begin. • Did C's lose Regret Game? • Stein: Q&A after six-game "sweep"
• Stein: Lakers ready to make history? • Jackson: Time for L.A.'s concession speech? • Adande: How did Kobe get here? • Simmons: You want a piece of Kobe, Boston?